The new setup uses the company’s famous 103-inch PDP and a Blu-ray player that can deliver full 1080p HD video with separate views to each eye. 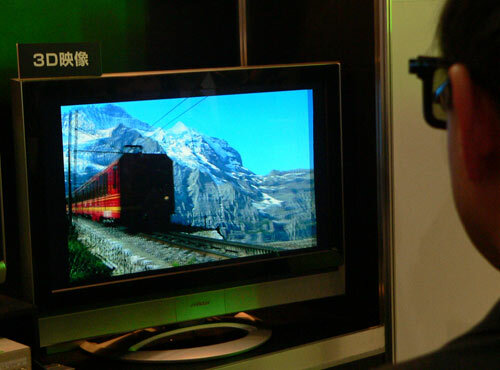 The tiny differences between the two video streams create the usual 3D effect in the human brain, but the key here is Panasonic’s ability to maintain the full high-def experience, albeit with polarizing glasses still needed. Moreover, all the 3D goodness fits onto a single standard Blu-ray disk, which has to bode well for the future of the format. That sounds to us like we’ll be needing yet another new kind of Blu-ray deck if this ever becomes commercially available, which maybe isn’t the wisest move right now.